Last night started well, with a report on the rorts in the BER scheme, the billions of dollars squandered, the useless canteens built the size of a garage, the miserable school boxes that cost the same as a five room houses with three bathrooms. The comparisons are endless. The outrage and frustration of principals, school councils, communities and parents seemed almost endless. This scheme of Julia’s would have to be the biggest misspending scandal in living memory, or, according to Malcolm Fraser, management worse than during the Whitlam government. David Penberthy, in The Punch rightly claims that much has been made of the utterly fawning press coverage which Deputy Prime Minister Julia Gillard enjoys. 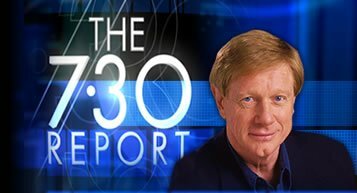 Maybe it takes a redhead to match a redhead but on The 7.30 Report last night Julia Gillard emerged not only unscathed but enhanced as Kerry O’Brien put her through her paces over the flawed rollout of the Building the Education Revolution stimulus spending. “Put her through her paces?” Wrong. Kerry O’Brien was simply fawning whilst trying to look tough. O’Brien had everything to pin her down but he blew it, and he was shown to be gutless. Old “Blue Eyes”, the aggressive, rude, relentless interviewer of the impatient, repetitive questions could not bring himself to do what was needed. At several points in the last four minutes of the interview, he appeared hesitant and tentative in trying to interupt her, to stop her steam-rolling roll. He even appeared obsequious, apologetic. This is the ABC, and one is polite to ones friends. He was, after all, interviewing the ALP favourite — now that the ABC Collective has agreed that Rudd must go. This entry was posted on June 3, 2010 at 02:41 and is filed under media, politics. You can follow any responses to this entry through the RSS 2.0 feed. Both comments and pings are currently closed.